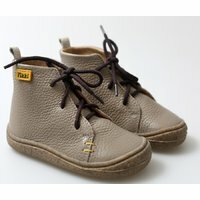 Natural leather made in Italy Inside lined with natural wool Flexible, anti-skid 4mm rubber outsole Extremely lightweight, weighing only about 200g. 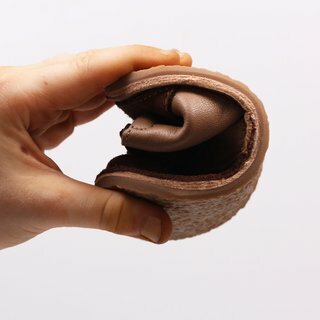 This product worth 129 loyalty points. 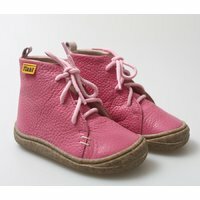 Available in the size range 17-26 EU, our "Barefoot" boots are a treat for little feet. 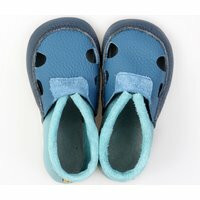 Although we use a thicker 4mm outsole, they still remain extremely soft, flexible and comfortable, while the lack of stiffeners make them to perfectly mold on every foot, no matter how chubby. 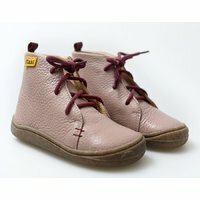 These boots are fully lined with natural wool, and they include wool insoles as well. 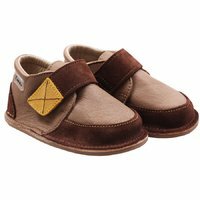 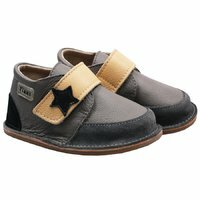 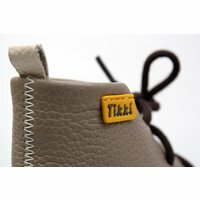 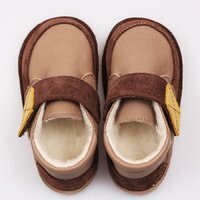 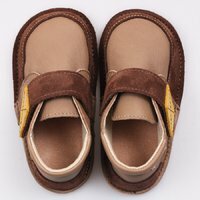 Made entirely of leather, Tikki shoes can be used on wet surfaces, but are not recommended for rain, wet grass or snow.